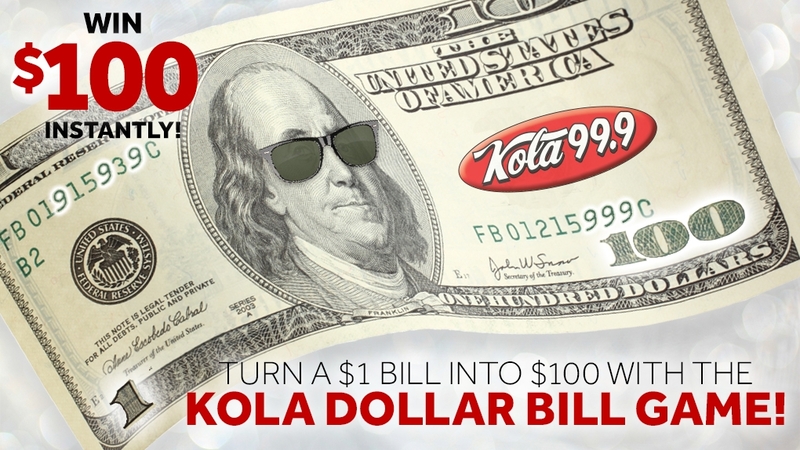 Win $100 with the KOLA Dollar Bill Game! Home » KOLA Dollar Bill Game! 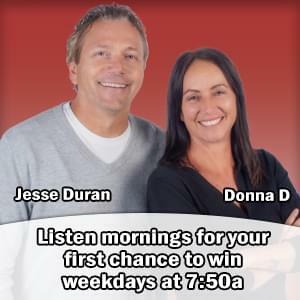 Once per day, enter online for a chance at winning. Remember, you must have a one dollar bill that has at least three 9’s in the serial number. They don’t have to be in a row. 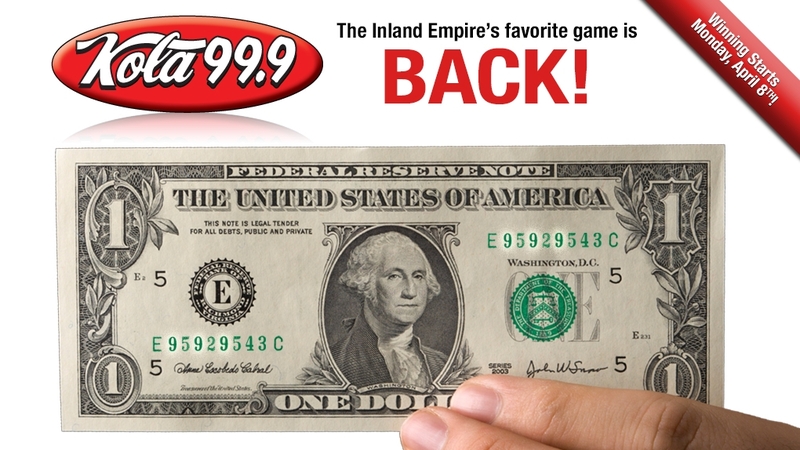 If you’re chosen in our random drawing on Friday (5.24) at 5:01pm, you’ll win $100! See complete contest rules. The more times you enter, the better your chances! 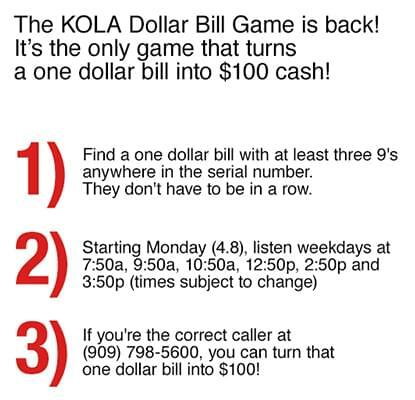 Each weekday, when you hear the KOLA Dollar Bill Game “Listen & Win” Code, enter it here and earn an instant 5,000 points! Starts (4.8).